This is the first game I'm playing on my new X. Love it. I think this was when Bioware was at their best. They had a strong team and were doing things their own way. And you can really tell, this was a labor of love. I miss the snarky dialog options. We don't get that kind of thing anymore. I played this game 3 times, last time was about 15 years ago. It's amazing how much I remember (although I did play it 3 times, so maybe not that amazing). I'm about 5 or 6 hours in, I think. Made it to Tien's Landing, took the boat to the pirates, going to try to get a mosquito and fly to the Imperial City. Combat is easy to cheese, but that's ok. Sidequests and characters are all interesting. Dialog goes on a little too long sometimes, but the story is solid and the pacing is good. Great game overall. They just don't make 'em like this anymore. Highly recommended. I love Jade Empire. Death's Hand..that village in the forest..good memories. I still believe Bioware was at their best with Mass Effect though. Bought this and it’s in my backlog. I bought it on the OG Xbox and never got far because it was near the end of the generation and I immediately jumped over to the 360 when it launched. Used to take these types of games for granted. Now we don’t see them anymore. How many hours should I plan on Jade Empire taking to complete? I loved KOTOR, and Jade Empire, but I think that they definitely peaked about 95% of the way through ME 3. After that, oh, not so much. I'm about 8 hours in now. The characters are interesting, but man is the combat broken. I didn't notice it so much when I played it 15 - 20 years ago, probably because I was new to games, but it's painfully obvious now. Jump behind, smack. Jump behind, smack. The end. It's boring. I guess I could prohibit myself from doing it, but it's so easy. Yeah I don’t remember specifics but up until Mass Effect 2, combat in most RPGs was clunky and more about stats than skill. Fortunately that’s changed. If I remember correctly, Jade Empire was Bioware’s first attempt at real time combat...which got gradually better over their next 2 games. If I remember correctly, Jade Empire was Bioware’s first attempt at real time combat...which got gradually better over their next 2 games. That's right, they were doing all turn-based combat before this. I guess I can cut them some slack. Nice. 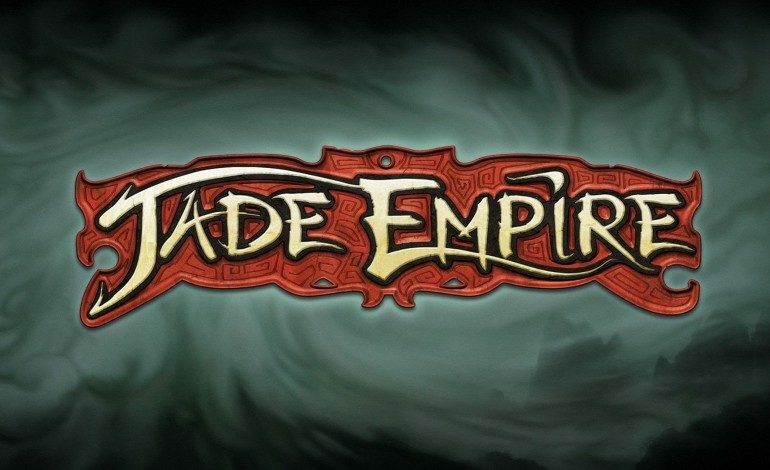 Jade Empire is one of my favorites to go back and play on the OG Xbox. One of the more truly unique games from that gen in my opinion. Lol was gonna post that... didn’t they trademark some other series they haven’t touched in a good while? My faith in EAs bioware is low I'm afraid. They somehow made Mass Effect mediocre and my faith in them rebooting Jade Empire isn't anywhere near stable. Just make an HD remaster with better controls and higher resolution textures and I'm in. Don't ruin this IP please. EA is all over the place. They cancel that single player Star Wars game..but have faith in Jade Empire..after Andromeda? You got a point, didn’t cross my mind till now....could jade empire maybe be an exclusive with ms? If Bioware owns the rights, doesn't it make more sense for them to have it be multiplat?